How regularly do I need a service? Naturally that depends on how often and on which terrain you ride. 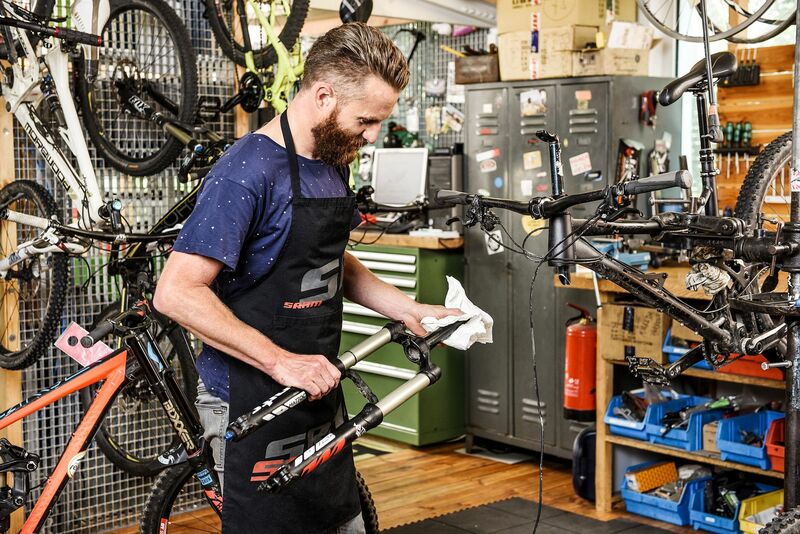 For the ambitious biker, we recommend an annual service. 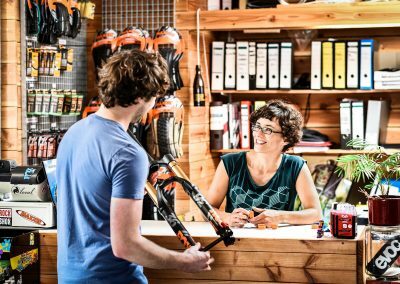 What are the signs that my fork or shock needs servicing? When the fork is stiff and unresponsive, its a sign of a lack of lube or damping oil. Grit in the casting can also damage the anodized surface of the stanchions. Regarding shocks, if there’s nitrogen in the damping oil, the compression doesn’t function as it should and the shock also makes unusual noises while compressing. When the loss of air or oil from the suspension will mean that you desperately need a service. Why a service is worth it? Your fork’s bump sensitivity and performance improve and you avoid stanchion damage. Leakage problems with compression and lockout and stuck adjusters can all be fixed in a service. These are all caused by worn seals, trapped grit and nitrogen in the damping oil. Can I do the service myself? It is possible to carry out lower leg service, with the know-how and the right equipment you can do it yourself. For anything which is more complex, you need the right knowledge, tools and experience. Which brands and models do you service? We maintain and tune more than 120 models of 12 brands. Write to us with your request, we’ll get back to you. 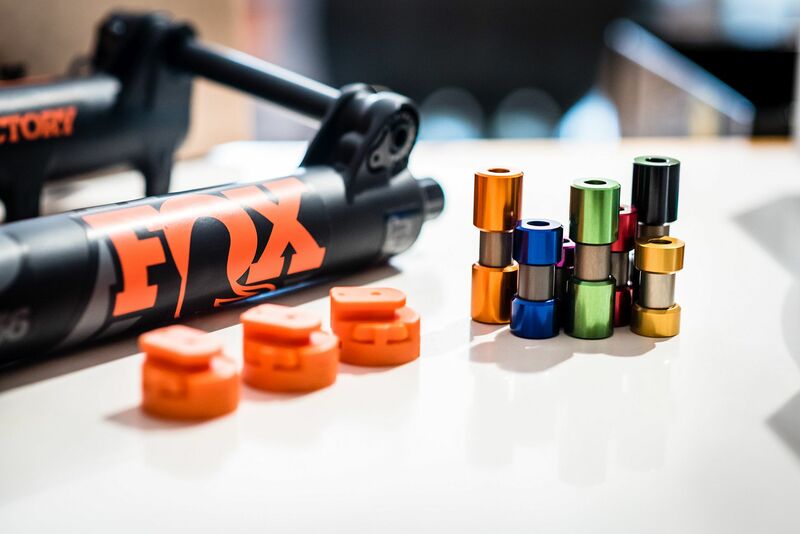 Fox, RockShox, Specialized, Cane Creek, BOS Suspension, X-Fusion – but also less common brands. What level of services are on offer for forks? 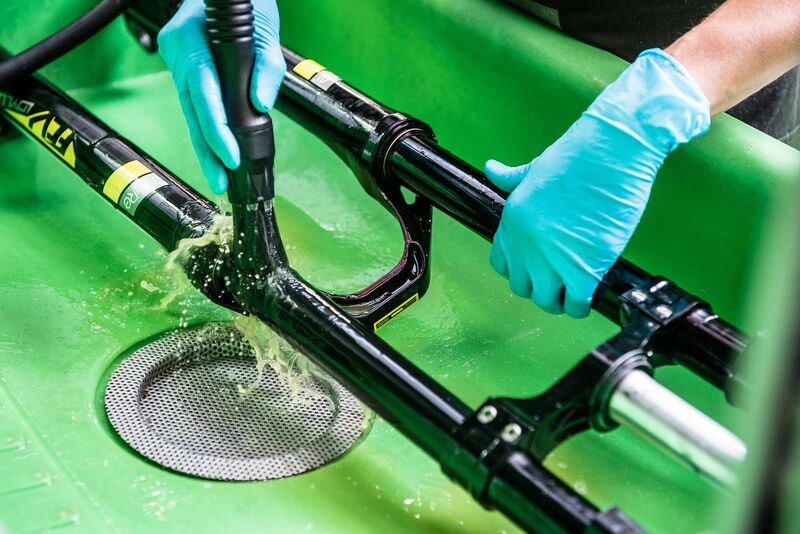 We thoroughly clean your fork and freshly lubricate it, as well as changing the fork seals. The fork is completely disassembled, a technician cleans all the parts, adjusters and levers, changes seals and reassembles the fork with the suitable grease, oil and the right air or nitrogen pressure. 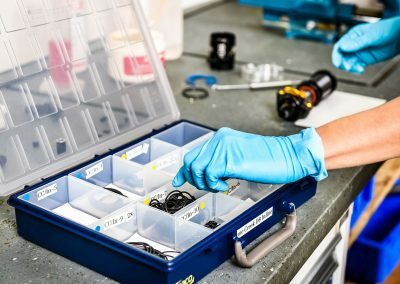 What level of services are on offer for shocks? 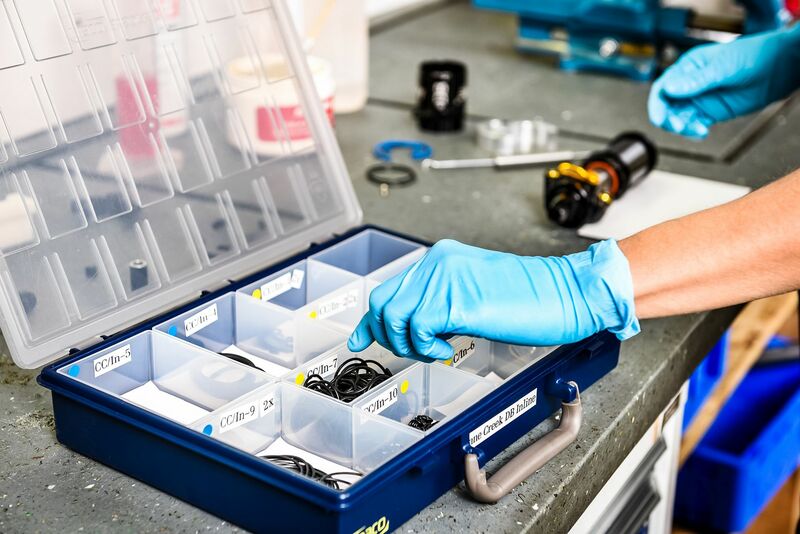 We thoroughly clean your shock, change seals and freshly lubricate it. 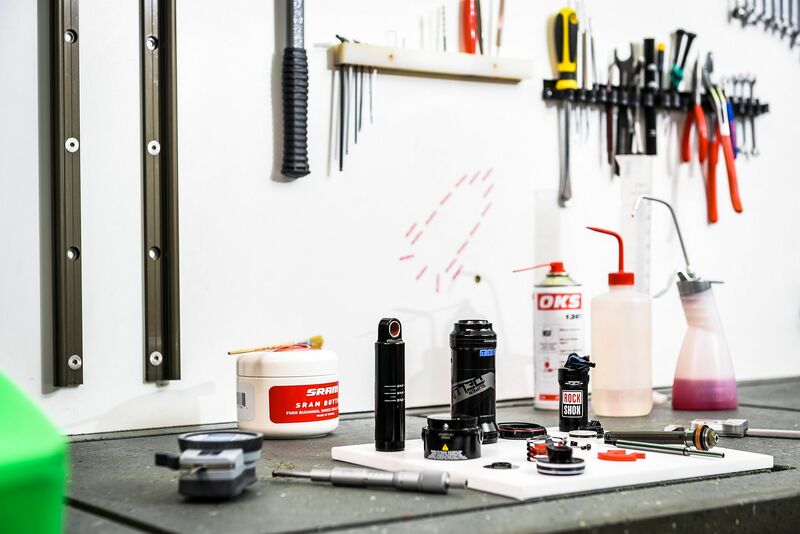 The shock is completely disassembled, a technician cleans all the parts, adjusters and levers, changes seals and reassembles the shock with the suitable grease, oil and the right air or nitrogen pressure. How long does the suspension service take? Most of our service partners need ca. 6 working days for a service. The time needed may be extended depending on the delivery of spare parts, how busy we are or if the cat is ill. The shipping time depends on the courier. The service time is decided by each service partner. Some partners give you an appointment others may not. Can I drop off the suspension or even my complete bike? With some service partners, yes. You can ask in the service form what your local Dämpferklinik offers. How does a Dämpferklinik service work? Using the request form to find your local Dämpferklinik. 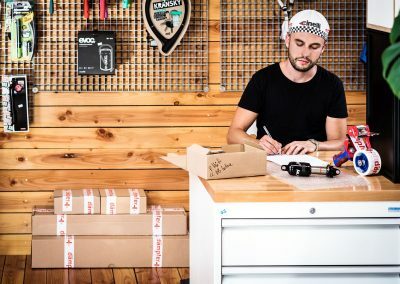 Your service partner will get back to you with the price, the amount of time needed, shipping details and opening hours. If you have a particular question or need advice, fill in the form and your Dämpferklinik will be able to help. What do I have to pay attention for when dismounting and mounting the suspension? The suspenion should be basically cleaned and packed good and safe for shipping. In case oil is leaking please use a plastic packing. Shocks: You can give/ send the mounting material with your shock, so we can see if there‘s play in the bushings or bolts. Forks: First you have to dismount the brake and then the fork. Remote and brake adaptor you may leave on the fork. Dropper post: When the cables are lead within the frame (e.g. RockShox Reverb Stealth) you only send the post. The hose remote has to be bled when mountin the post back into the bike. When the cable is lead outside the frame (e.g. RockShox Reverb) please send us the hose, we will check and bleed it. For dismounting and mounting we recommend getting in touch with a bikeshop to avoid safety risks. How much does a service at the Dämpferklinik cost? 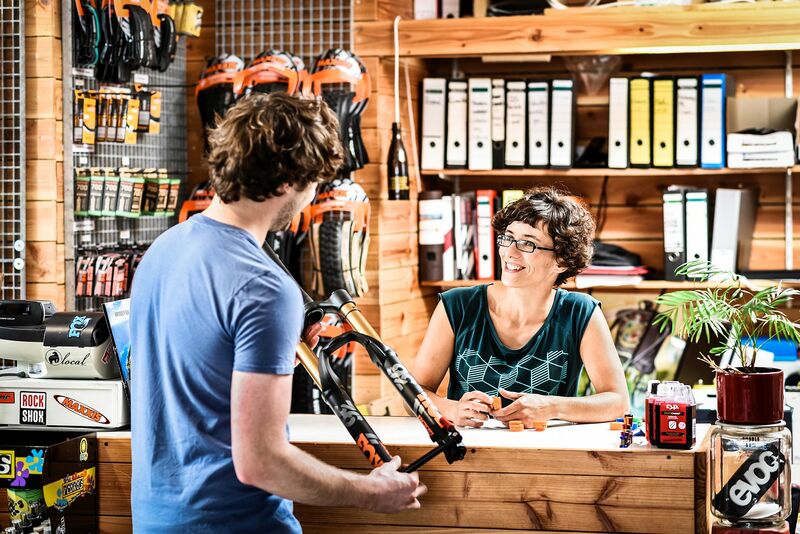 A full service for shock or fork costs around 110€, a lower leg or air can service is about 50 €. There are some models that require more work, e.g. the Fox Dyad or the Specialized Micro Brain and other Specialized models – for those a service costs around 150€. We bring your bike back to its best. 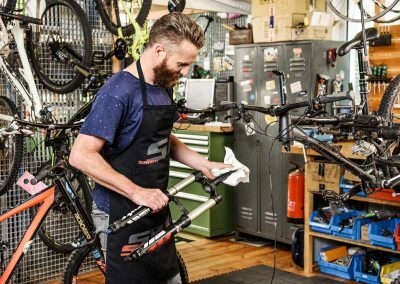 Service partners bring your bike back to its best. Seals wear and tear over time, regularly changing them is a must during a service. What do I need to know after? move the shock if there&#39;s no pressure in the piggyback. 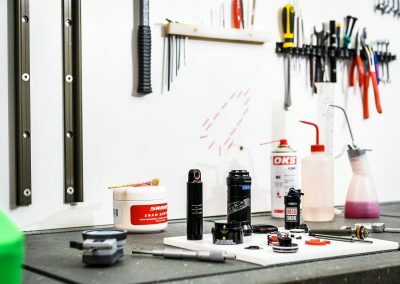 What can I do to look after my suspension? You can help your suspension having a long life by cleaning it after each ride. Use a cloth, and if you like a little cleaning product. without trapping dirt inside the casting. It’s best not to do it. When does it make sense to get my suspension tuned? It’s important that you’re clear about what you’re unhappy with. But the only way to find this out is by testing your suspension after a service. A general tuning is not possible. If you’re unhappy with the bump performance of your fork, a full service and slight modifications (e.g. changing the oil viscosity) should help. There is a definite limit to the improvements that can be made when single part/stock seals are used. Sentinel Fork Seals will help. 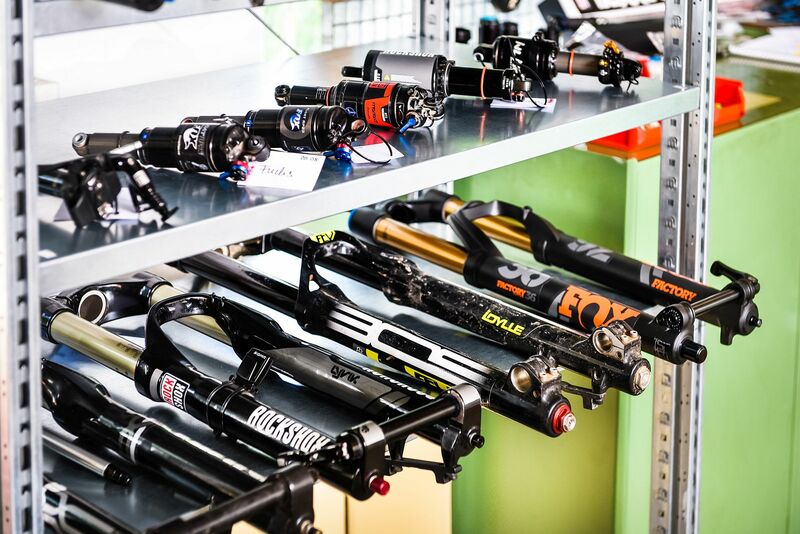 Regarding shocks frame kinetics, setup and riding style all play an important role. When you’re unhappy, our recommendation is to first undergo a full service, as it could be the nitrogen in the oil which kills the damping performance of your shock. It is only after a full service that you can be sure of the problem and we can recommend you other modifications to be made. 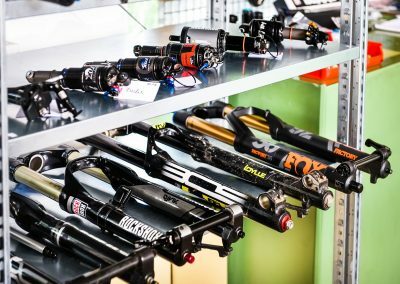 How do I find the right setup for my fork and shock? It’s not easy to find the right setup but the time you invest will be well worth it. Suspension performance depends on frame geometry, riding style and other factors. 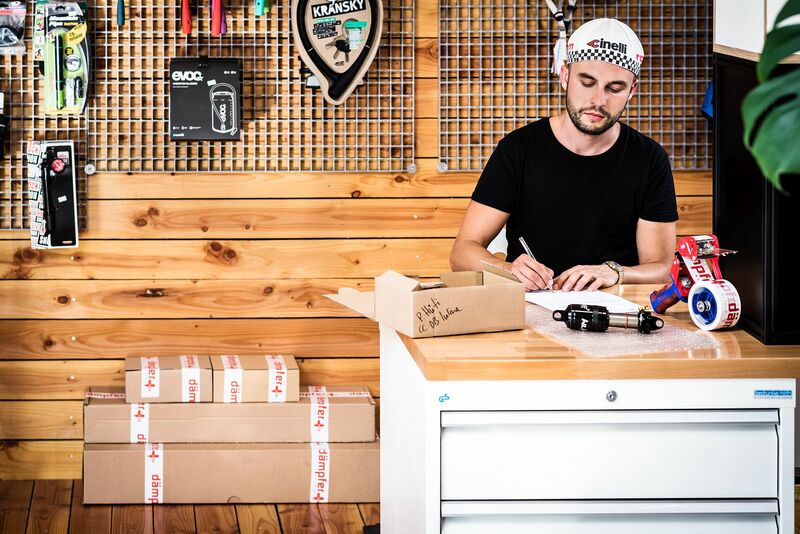 Take a paper, pen and shock pump on your next ride and try out different setups. Setups are all about preference, so do your own. With some service partners you can just drop by.